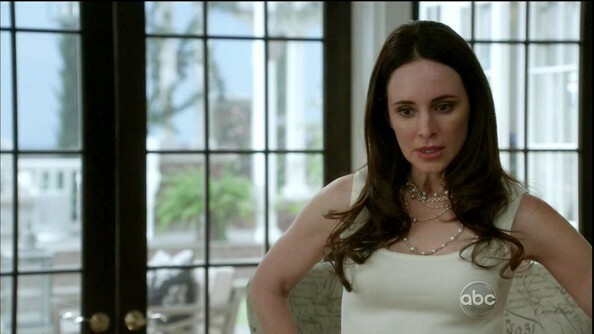 Revenge – Season 2, Episode 10 – Victoria (Madeleine Stowe) incorporates Emily (Emily VanCamp) into her newest scheme. Meanwhile, Emily zeros in on her next target; and Declan (Connor Paolo) stumbles onto something that may jeopardize the bar. Madeleine Stowe added interest to her white shell with a tangle of layered pearl necklaces.